October may quite possibly be the best time of the year for car shows. Sunshine and cooler temperatures make for a great atmosphere as you stroll through the aisles of the best of the best. Check out these area car shows coming to our area this month. Some near, some far, but worth the drive for even the most casual car enthusiast! $10 Entry Fee, DJ & Food all day. Cruise-in to benefit Perry County Alzheimer’s for Betty’s Memories. Dash Plaques to the first 100 vehicles. Trophies for best of show, participant’s choice, DJ’s choice and Spectator’s choice. 50/50 and door prizes, plane rides available. Free coffee and door prizes! Awards at 4:00PM. 80 awards to top pre-1985 and 30 awards to 1985 and newer. 4ft Best of Show plus $200, 3 ft Best 1985 and newer plus $150, 3 ft Best 1985 and older plus $150. Plus, specialty awards! Wear your favorite costume and decorate your vehicles. Win some great prizes. Lots of great Raffle Items. 50/50 Drawing. 50 dash plaques, 3 sponsors trophies, DJ, door prizes, held at Heiland Legion Post, Sponsored by Anna District Historical Society. We are Southern Ohio’s largest cruise-in, never an entry fee, Live DJ playing 50’s thru 80’s music, lots of door prizes and a grand door prize at every event. We also have a 50-50 drawing with all proceeds going to the Ronald McDonald House. Usually 300+ vehicles at each one. WHERE: Parking lot on the Northeast corner of 1st Avenue and Main Street in downtown Middletown. Enter from 1st Avenue (Main Street will be closed for the main event: Hocus Pocus Halloween). Trunk or Treat is optional. Our Goal is to celebrate the ever-changing culture of the automobile industry. ALL Cars, trucks and motorcycles are welcome. 50/50 Raffle, Door Prizes, DJ Playing the oldies. Classic Car Poker Run & Cruise-in. 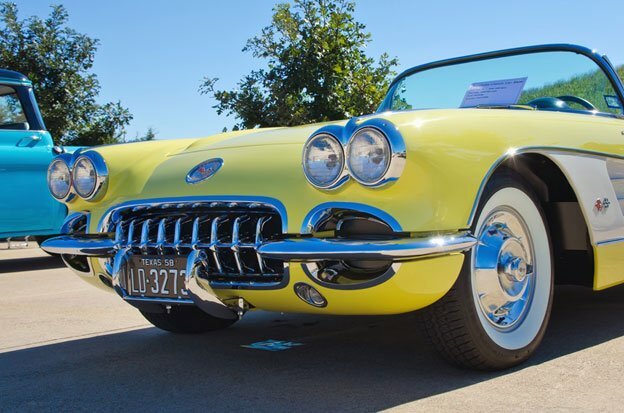 Cruise the countryside or relax at the Cruise-in, enjoy carloads of fun, food, friends, & prizes. Cruise through the countryside and view the changing colors of fall, all while supporting the Tim Horton Children’s Foundation in helping to provide more than 20,000 youth with a remarkable camp experience.